For many uses of X-Rays, great detail and accuracy are not needed. Applications such as baggage screening only need to see inside of objects. Metrology however requires very precise measurements and the industry has not been so quick to adopt this technology. Several manufacturers of CT equipment have created machines to address this very issue. Specialized equipment from Nikon, Zeiss, NSI and GE are being used to bridge classic CT visualization of internal structures with the art of precise measurement. Most existing equipment found at traditional CT service providers do not have the specialized equipment to ensure good data accuracy. The move to metrology based CT equipment is a recent trend that will continue. Here at 3D Engineering Solutions, we chose Nikon CT metrology grade equipment over 5 years ago and have employed it with great success. 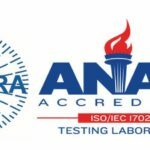 Since we are also an ISO17025 accredited inspection source, we also have the knowledge and means to verify the data that we take on our metrology grade CT equipment. In fact, we were the first dimensional inspection source to add CT equipment to our ISO17025 accreditation. Most service providers do not yet put the effort into ISO17025 accreditation. However, most sources looking for quality inspection work require it. We also boast the largest trained CT engineering staff and support 24/7 work in CT and other metrology services. Check out the video of a set of micrometers that we CT scanned (CT Video of Micrometers). 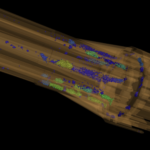 It shows the CT data and each part of the micrometer segmented into individual parts. At the end of the video you can see the dimension that is set on the micrometer and also see the measurement we were able to achieve off of the micrometer anvil faces. Basically, we measured within about 0.0001”. This is the direct reading off of one of our metrology grade 225kV MCT machines. The data did not have to be scaled as is necessary with traditional CT equipment! To qualify this a little bit, there is only one material in this area of the anvil faces and they did come in very cleanly. Some materials do not come in this clean and the associated noise that can happen with CT data can affect the measurements that are able to be made. There are many factors in the process that can cause measurements of data to be incorrect. Different materials have such wide variations in physical properties and each material has a different interaction with X-Rays. This makes some products with multiple materials very difficult to perform computed tomography (CT) scans. Beam hardening artifacts can hide data points, focal distances can vary, even variations in the reconstruction and surface determinations can affect measurement accuracy. 3D printed parts are becoming a rising technology for both commercially industrial, and many aerospace applications which can be best visualized non-destructively by CT methods. Other NDT methods can provide indications of defects, but none as visually apparent as CT. There are also instances in assemblies where there is critical clearance between components that data would be lost during disassembly. Some parts could be sectioned, polished, imaged, and measured, this is a time consuming and destructive method. CT offers the advantage of being able to segment individual components in an assembly and visualize (and measure) their actual deformed conditions. 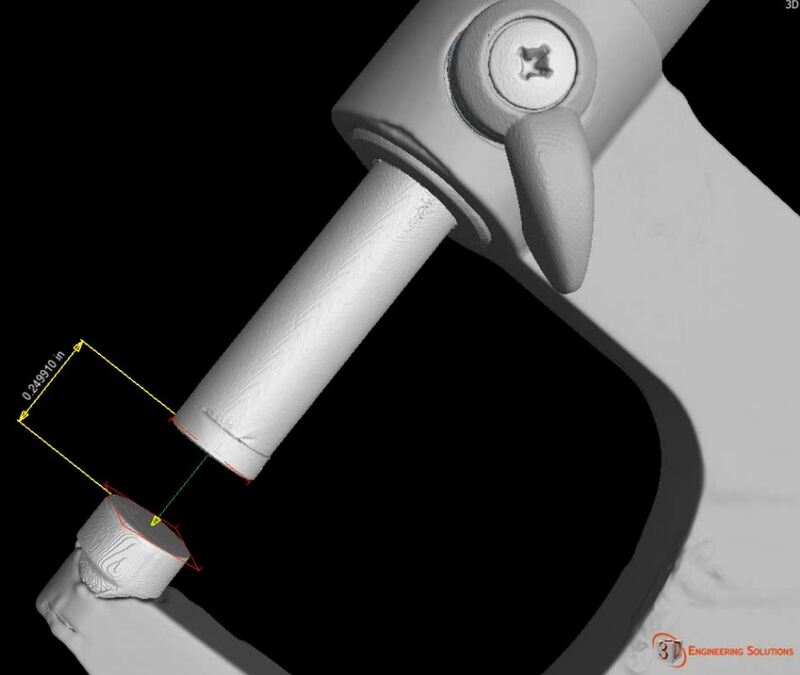 3D Engineering Solutions minimizes error in measurements by verifying all CT data using tools that are measured on several different types of ISO17025 accredited equipment. In fact, we have an internal program that measures a common artifact between all of our ISO17205 accredited equipment to ensure that our equipment is performing within manufacturers tolerances between calibration periods. This adds a level of confidence for our engineering staff and our customers. The only drawback of the newer metrology grade CT equipment is the need for regular calibration of that equipment. This adds a level of expense to an already expensive process, but is a requirement for a large number of our customers who represent the quality labs of their companies. Traditional CT equipment does not require this extra step and expense, but does not come with the added certainty of metrology grade equipment. Additionally, adding CT equipment to the ISO17025 scope requires that we develop measurement uncertainties for our equipment and process – another expensive and time consuming activity. As most people know, this process of developing and refining measurement uncertainty does not end. If you are in need of accredited ISO17025 measurements of the internal structures of your components or assemblies, please contact us at 3D Engineering Solutions where we Measure and Model Quality!